Lovcen or Kotor serpentine’s are a part of old caravan road from Kotor to Njeguši. They are a particular architectural relic, from Kotor it winds uphill to Njegusi, a picturesque mountain village, the most famous village in Montenegro. 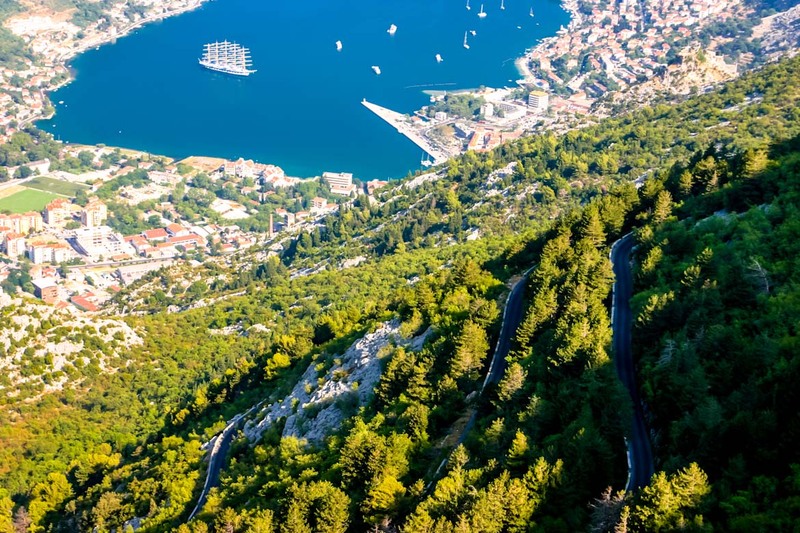 The serpentine’s are known to have the most beautiful panoramic views of Boka Kotorska bay, from the height of over 1000 m above sea level.